Tom Burden, former Colts captain, has been selected for the Israeli National Team to play Croatia on Saturday 8th November in Split. 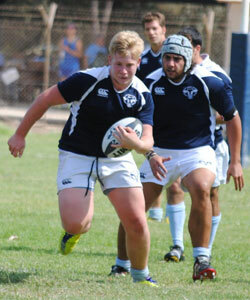 Tom last played for the Lions at the start of the season, before having a month in Israel playing for top team – Kibbutz Yizre’el, and training with the national team. Tom is currently studying, and playing at Cardiff Met University. He is eligible to play for Israel as his grandfather was born in Jerusalem during the British Mandate. Israel are competing in the European Nations Cup, division 2A, along with Croatia, Malta, Czech Republic and Switzerland.